The United Electric (UE) J6 Series is a reliable, sensitive pressure switch, originally designed for instrument air applications in process plants. 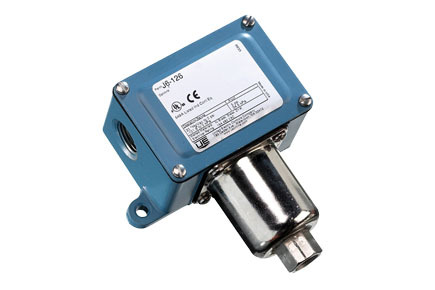 Its compact design and combination of set-point sensitivity and narrow or optional adjustable deadband, offers cost-saving solutions for a variety of applications. The UE J6 Series is ideally suited for a wide range of industrial processes such as alarm/shutdown and low/high service pressures. OEMs also utilise the UE J6 Series in machinery and equipment for threshold protection.